Koide Hiroaki has dedicated his career to preventing a nuclear disaster in Japan. That disaster has now happened. As we learn in this wide-ranging and important interview, the accident often referred to as 3/11 was enormous and in many ways unprecedented. The full scope of the disaster is still unknown, but is clearly on the scale of Chernobyl, placing the amount of radioactive material released into the atmosphere possibly up to 1,000 times the Hiroshima bombing of 1945. Professor Koide’s reporting in his many books, interviews, and radio programs is essential reading for anyone wishing to learn the nature and extent of the radiological event of March 2011 and beyond. 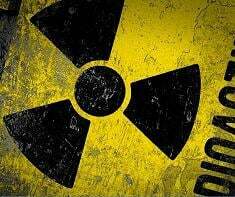 Though many decades in the past, these radioactive releases at the height of the Cold War continue to contaminate the entire globe. Originally, huge amounts of radioactive material, several times greater than Chernobyl or Fukushima, were released into the air and dispersed by the prevailing winds and jet stream before falling on the oceans and land contaminating huge areas of the earth-especially in the main test sites in the South Pacific, the US West, and Kazakhstan. But some of this released material breached the tropopause, the soft barrier between the troposphere and the stratosphere, escaping the troposphere before becoming trapped aloft in the stratosphere. Recently it has been discovered that major spring thunderstorms-and notably the 2010 eruption of Eyjafjallajökull in Iceland- regularly rise high enough to breach the tropopause. But 3/11 is not only one in a series of radiation contaminations dating back to the birth of the atomic age. These nuclear disasters are also part of a larger historical series of toxic events dating back to the birth of the industrial age. Prof. Koide himself notes the parallels of his own work with the Japanese anti-pollution activist Tanaka Shōzō’s (1841-1913) fight against the pollution of the Watarase and Tone rivers north of Tokyo by the Ashio Copper Mine in the 1890s. Fukushima must be seen in the context of these other toxic events, one in a series which, though the particular pollutant may have been different, all share a family resemblance: each names a particular site of industrial capitalist production that results in the contamination of a space that in turn requires the sacrifice of that region for future use and the loss of the means of life by any who live in the area. The list of these national sacrifice zones is long and growing: Ashio, Minamata, Grassy Narrows, Ontario, Hinkley, California, the Gulf of Mexico Hypoxic Zone, Bikini Atoll, the “downwind” sections of the Great Basin of eastern California, Nevada, and western Utah,4 Hanford, Washington and Ozersk, Kazakhstan,5 Chernobyl. The list now includes a region some 20km around Fukushima dai-ichi. Tanaka Shōzō glimpsed the logic of the national sacrifice zone in 1902 when he fought against the Japanese state’s seizing of the village of Yanaka and displacing its residents in order to build a flood control reservoir. For Tanaka, this enormous re-making of the Watarase and Tone rivers signaled no less than converting an entire watershed that had served as a centuries-long source of production and sustenance into a sink of contaminants: “If [the pollution] continues too long, the river’s headwaters will trickle out from a poisoned mountain of foul rocks and polluted soil that wholly penetrates the water, forming a second [toxic] nature (dai ni no tensei o nashi); once this happens there will be no saving anyone.”6 This event was the turning point in Japan’s environmental history, one that was repeated across the globe in the 19-20th centuries. The insatiable drive for more powerful energy sources to fuel more economic growth is everywhere hitting barriers, creating more and more national sacrifice zones on larger and larger scales. The growing toxicity of daily life stretches from the local and personal in the toxic working environments of computer production and waste disposal to the truly global. With global warming, ocean acidification, bioaccumulation of mercury, desertification, and countless other alarming trends we risk sacrificing the earth itself as these trends combine to make the earth less and less amenable to increased or even stable production of the means of subsistence. 2002 marked an uptick in global food prices that has continued to this day, reversing a centuries long trend of cheaper food-a trend that drove much of the economic progress since the nineteenth century. Global food prices in 2014 were 127% of 20027 and show few signs of stopping their rise. The implications for increasing toxicity and undemocratic politics in an era of unprecedented rising food prices are dire, as the motivation to dig deeper for water and nutrients will require even greater projects that demand ever greater chemical and energy inputs. In our present of 2016 the sense of doom does have a name: Hoshanō sekai-Radiation’s World. Radiation’s World announces that the earth-or at least large parts of it-is no longer exclusively ours. We have rendered huge spaces of the planet off limits for time periods beyond any scale of recorded history.9 Parallel to but different than the rapacious depletion of the natural world from forests to cod stocks to fossil fuels that took millennia to build up but are consumed in decades, as we mine deeper temporalities in pursuit of open ended consumption we have also unleashed anti-human temporalities incompatible with continued production or consumption.10 It is these spaces that are now ruled by radiation and are no longer part of human society. Like the old Horror trope, we have unleashed forces that we cannot contain. But unlike Horror, there is no discrete monster to kill at the end.11 Pessimism is surely called for. Though our world of cosmic horror may have a name, hoshanō sekai likely does not have a politics. At Ashio, Tanaka fought the re-engineering of the watershed by building different relations to the river in the doomed village of Yanaka, a politics he called Yanaka Studies (Yanakagaku). In the post-war period the physician and activist Harada Masazumi called his effort to rebuild the fishing village poisoned by methyl mercury effluent Minamata Studies (Minamatagaku). And globally there is the Salvagepunk movement to reclaim abandoned urban zones by reassembling of collapsing infrastructure from Detroit to the Parisian banlieuses.12 But the very nature of radiation thwarts this process. There cannot be an Atomic Punk. The 20 km zone around the Fukushima plant has been appropriated by radiation and will not be re-appropriated by humans for decades – the site itself remains off limits for much longer. Because the monitoring equipment was destroyed by the accident itself, the oft-cited maximum recorded doses of 25 mSv/yr cover only the first four months of the disaster and only include external radiation. Adding internal radiation through inhaling radioactive dust or consumption of radioactive food and water means the levels are necessarily higher. Further, current readings take only the readings in the air and not in the soil or water.13 A purely technical fix seems unlikely as even robots may not safely venture onto the reactor site, putting a pessimistic spin on the term post-human. The contamination has its own lifespan; it can only be moved and hopefully contained, in some cases for millennia. Populations cannot safely repopulate the area no matter what alternative politics they may practice. As prof. Koide and many others note, there is nothing to do but cede the ground to radiation and relocate. Though a long planned Cold War prelude to the remilitarization of Japan, the new State Secrets Law of 2014 was predictably used first to control the information on the levels of contamination outside the 20km exclusion zone. And thus the long historical trend linking toxicity and undemocratic politics is renewed and extended. It is likely this very nexus of toxicity and undemocratic politics that is the source of the repetition compulsion at the core of the historical series of national sacrifice zones. Just as the existence of nuclear weapons requires a national security state, the existence of nuclear power presupposes appropriation of the kind resisted since Ashio. In short, the nuclear reactors instantiate a fundamentally untenable social relation to nature-and thus a fundamentally untenable social relation to life itself. What is called for is a new environmental regime based on an ecologically sound everyday life. This is Tanaka’s Yanaka Studies. It is the physician Harada Masazumi’s Minamata Studies, and it is a yet to be formed Fukushima Studies. But a Fukushima Studies must start, as Prof. Koide tells us, with the immediate end to nuclear power. Though radiation contamination does not have a technical fix, it may have a political one. As Prof. Koide says, Germany has done just this: declared an end to nuclear power.14 This is the necessarily political decision that can then be the basis of a new energy regime. This is not easy, but it is possible. The encouraging grassroots politicization of “electricity conservation” (setsuden) of recent years has shown the feasibility of just such a new energy regime in Japan, one without nuclear power or increased imports of polluting coal and oil. But this trend is countered by others. In the face of strong anti-nuclear protests, the Abe government has already restarted reactors in Kyushu, and just as Prof. Koide feared in his discussion of the 2014 LDP election, the government has plans to restart the others moving towards a Japanese energy regime hardly changed from before the Fukushima disaster. Prof. Koide’s career was not able to prevent the disaster. But his message still points the way to a better future. With the popular mood turned into a political movement-a movement that the 2014 election shows is not yet currently on the horizon-a less toxic, more democratic society is surely possible. More, it is necessary. 1Charles Perrow, Normal Accidents: Living With High-Risk Technologies (Princeton University Press, 1999); Paul Virilio, “The Primal Accident,” in The Politics of Everyday Fear, ed. Brian Massumi (Minneapolis: University of Minnesota Press, 1993). 2The United States and the Soviet Union signed a test ban treaty for 1963, but France continued atmospheric testing until 1974 and China until 1980. 3As the Chernobyl and Fukushima researcher Timothy Mousseau has shown, cancer is only one of the damaging health effects of ionizing radiation. His studies of birds and rodents have shown smaller brain sizes, male sterility, cataracts, and reduced life-spans. Personal communication, February 2016. 4Mike Davis, Dead Cities: And Other Tales (New Press, The, 2003), 33, 40. 5For the shared toxic legacy of both sides of the Cold War see in English Kate Brown, Plutopia: Nuclear Families, Atomic Cities, and the Great Soviet and American Plutonium Disasters (Oxford University Press, 2015). In Japanese see Suga Hidemi, Han genpatsu no shisōshi: reisen kara Fukushima e (Tokyo: Chikuma shobō, 2012). 6Quoted in Robert Stolz, Bad Water: Nature, Pollution, and Politics in Japan, 1870–1950 (Asia-Pacific: Culture, Politics, and Society) (Duke University Press Books, 2014), 98. 7Jason W. Moore, “Cheap Food and Bad Climate: From Surplus Value to Negative Value in the Capitalist World Ecology,” Critical Historical Studies Spring (2015), 18-19. 8Thomas Ligotti, The Conspiracy Against the Human Race: A Contrivance of Horror (New York: Hippocampus Press, 2011), 57. 9The failed but instructive Pentagon program to attempt to craft a warning not to open Yucca Mountain that could be understood by any civilization some 10,000 years in the future-beyond the time span of existing human language-immediately runs into Lovecraftian notions of time and ancient angry gods buried in deep in the earth. See Peter van Wyck, Signs of Danger: Waste, Trauma, and Nuclear Threat (Minneapolis: University of Minnesota Press, 2005). 10The alien origin of the “black oil” of the X-Files speaks to this cosmic horror while also linking it to fossil fuel consumption. See for example Justin McBrien, “Accumulating Extinction: Planetary Catastrophism in the Necrocene” in Jason W. Moore, ed., Anthropocene or Capitalocene: Nature, History, and the Crisis of Capitalism (Oakland: PM Press, forthcoming). 11Susan Sontag, “The Imagination of Disaster,” Commentary October (1965). 12Evan Calder Williams, Combined and Uneven Apocalypse (Washington: Zero Books, 2011), chapter two. 13Hirotaka Kasai: “Kasai: So…about the airborne radiation dosage and the soil contamination, there is a public entity that measures and publishes the airborne levels. But the soil contamination is not measured. I remember reading about Chernobyl that the soil contamination levels are the standard by which one gets the right to evacuation and refuge. But Japan only measures the air.” Unpublished interview with Koide Hiroaki, December 2014. See also, Tessa Morris-Suzuki, “Touching the Grass: Science, Uncertainty and Everyday Life from Chernobyl to Fukushima” in Science, Technology, & Society 19:3 (2014): 331-362. 14Koide: “Take Germany for example. There both the government and industry decided to eliminate nuclear power. When it came to the question of what happens to all the people in that industry the answer led to entirely new jobs being born. In short, if the decision is made to eliminate nuclear power, and the entire society works towards that goal, then I think it can be done – even though people hooked on the drug will truly believe that they will die without it. So the job is to show them that is not the case, that we can build an alternative one piece at a time. Then again, that’s really my responsibility isn’t it?” (Laughs). Unpublished interview December 2014.